memorial day bbq? no, thanks. instead, let's talk italian food ... some of the best italian food i've had in a while, tbh. 1. it is helmed by sarah grueneberg of spiaggia & top chef fame. 2. super accommodating to me (le vegan) & my pal (gluten-free). 3. the food is incredible. before we get into the eats ... here's a bit more about monteverde : "cooking with a traditional heart & a modern hand, monteverde offers food that is soulful, surprising & filled with storytelling." see? you can already tell it's good. little gem lettuce, avocado & crunchy vegetables. vegetables crunchy as advertised. entire salad delicious as expected. this was originally a crostini, but it wasn't vegan or g-f, so they made us a special version. i could eat crispy polenta all day, erryday. so this was a match made in heaven. fresh grated tomato, oven-dried cherry tomatoes & basil. UGH.SOOO.GOOD. i inhaled this bowl of pasta. (which was actually more food than it looks like in the photo. i blame the bowl.) it was just the kind of pasta / italian that i love ... simple ingredients & full of flavor. 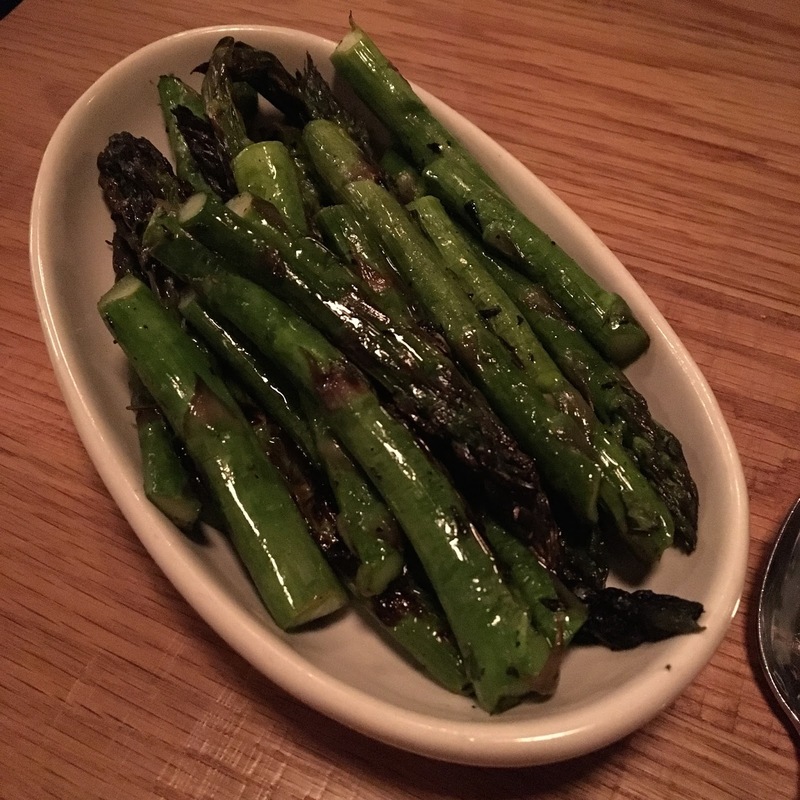 i'll never say no to a side of asparagus. exhibit a. two thumbs up. the problem with being a foodie & having a food-centric blog is that i often only go to a restaurant once or twice, even if i want to go there more ... gotta get around, ya know? but with monteverde, i want to go back again. and again. and again. and again. and this time, i'm certain i will. it's great for a girls night out, a date night ... or whatever. i think i just read they do a kid's menu, too. so once the chi city vegan baby is putting more into his mouth than he is throwing on the floor, i plan to bring him back, too! can't wait! Does Monteverde have a dedicated vegan menu? 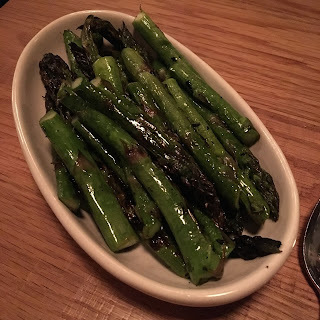 I'm looking for a spot for an upcoming birthday dinner that would work for my vegan-mostly partner! hey! no, not a dedicated vegan menu. but they are super flexible and will work to make a delicious meal if you let them know!